At the end of January, just before Mozart's birthday, I was appropriately re-connected with someone who was a voice for The Chronicles even before it was truly realized. Chris Andrews. Acknowledging the person, the catalyst, the story of how I came to authorship is actually something I aspired to do last year in celebration of the fifth anniversary. I had saved a draft entry in July, but with a very busy life and spending more time on social media rather than blogging, it was never published. Thankfully, our recent reconnection encouraged this post into creation, rather expeditiously at my request, in honor of the forthcoming Grammy Awards this weekend and Chris's contribution to the Recording Academy. I met Chris via Mozart.com at the end of 2005 when the world was abuzz on the eve of Mozart's 250th birthday anniversary on January 27, 2006. As owner of the Mozart.com domain (arguably the most sought-after domain of the year), Chris was developing a platform where Mozart's admirers could access the latest resources regarding the composer, especially those relating to travel to the 200 cities in Europe where Mozart performed. The site was also a place where admirers could connect and leave birthday wishes for the beloved genius in celebration of his birthday anniversary. Mozart Year 2006 was to be the largest birthday party on the Web or elsewhere...ever. The press release read: "Mozart.com Opens for First Time - Declares 'Mozart Lives!' - Gears up for 250th Birthday - A Worldwide Celebration of Music and Innovation is Theme on Mozart.com featuring information, multimedia, products, and contacts for Mozart, his music, travel, music and the mind, resources for music professionals, plus as a first: The Mozart Fan Club." The Economist's May 2006 article captured the essence of Mozart Mania quite well as did Chris's interview with BBC Radio Worldwide (Chris is the second interviewee after Austrian President Heinz Fischer). Electrified by the prospect of being involved in such a campaign, I inquired with Chris immediately upon discovering the site. After some time was spent in correspondence, collecting resources and creating content on the forum, Chris came up with the brilliant idea to have contributing writers for Mozart.com. Chris approached a few of us to author blogs. I was hesitant. It was the dawning of my career, and I lacked confidence. I wasn't sure if others would consider my writing worthwhile and interesting. How would I craft it? What would I say? Chris (fortunately!) turned a deaf ear to my reservations and set up my blog with the domain http://sherrymozart.blogspot.com. He recognized my passion and encouraged me to embrace that passion and put it into words, put it into action. This encouragement made me feel like I truly had something to offer a readership and it gave me enough confidence to approach the intimidating blank canvas that awaited. There was no title, no template, nothing, and from this void, emerged The Chronicles. As if giving life to my authorship wasn't significant enough already, Chris was also responsible for connecting me to Phil Grabsky, Director of In Search of Mozart, the first feature-length documentary ever created about Mozart's life. Chris had published an exclusive interview with Phil on Mozart.com about the film's upcoming release in 2006 and when I expressed interest in the film, he made the introduction. Months later, I was hired as the Marketing Manager for the North American theatrical release. I worked remotely with Phil and his team at Seventh Art Productions in Brighton, England through their American distributor, Direct Cinema Limited, in Santa Monica, CA. It was an unprecedented opportunity to embrace my stewardship through this campaign and take Mozart to a broader audience through the accessibility of cinema, one of the greatest platforms through which to excite, empower and enlighten. Although it was initially considered a temporary writing venture with no certain future, The Chronicles evolved beyond 2006 and created its own niche based on my own personal and professional experiences with Mozart's music and history. And along the way, it has become something much more substantial to me than an authorship. It has taught me a great deal about myself, the world, and God's profound promise of what's possible through my enduring love for the music. I owe a great deal to Chris for being there in the beginning to supply me with the proverbial push that I needed! (Thank you, Chris!) 2006 was a time where my life intersected with and was changed by a great moment of collaboration that would begin my mark, my flourish, on the Mozart legacy. Sherry: Welcome, Chris! I'd like to start by expressing my sincere gratitude to you once again. Would you have ever guessed we'd still be talking about this six years later? Although Mozart.com focused primarily on providing a narrative and dialogue for the anniversary year, did your vision for the platform go beyond 2006? Chris: Thanks Sherry, and I'm certainly glad we are still talking about Mozart. For both business and personal reasons, Mozart.com did not go beyond 2006. On a business level, an Austrian company made an offer to myself and my business partner, and we decided to sell Mozart.com. On a personal level, my activities in Austria had been so demanding on me, I decided it was time to concentrate on my life in the Silicon Valley, my business and my kids needed me! Sherry: Today, we rely heavily upon technology to communicate Salzburg's native son to audiences. Yet, as you mentioned in your BBC interview, Mozart stands on the merit of his compositions alone. How do you feel technology is helping and/or hindering his music today? Chris: That's a great question. I really viewed my role as being Mozart's "Personal Manager," because all top musicians employ a person like that to help them with their career. I still believe Mozart needs this, a person or group of people to make Mozart relevant for people who do not know him well. So technology is providing the means to do that, there are many amazing tools to facilitate Mozart's music moving into new audiences, but it takes a vision of where to take him. This makes me think of something very interesting though, I am very familiar with how services like Pandora broaden people's musical tastes by introducing them to music that is similar to what they like. What I don't know is how well that is working with classical music, in particular Mozart. Sherry: The story of your Austrian heritage is fascinating (60 Minutes, Buried in the Past: Brothers Discover Long-Lost Family in Austria, aired on November 12, 2003). What did Mozart mean to you during this period of discovery? Does he continue to be a figure of inspiration in your life? Chris: I connected on a very deep level with Mozart. As I studied who he was, listened to his music being performed in Viennese opera houses, and became more aware of his impact on so many people -- including very famous musicians -- I thought, one man can do all this? It seemed impossible, how can this be? And in my mind, I thought, anything is possible! But it is really in listening to Mozart's music, with only your ears and your heart, where one finds the inspiration. And I was fortunate that a good friend of mine is a conductor in Vienna, so I saw many operas and symphonies. As you know I was deeply involved with difficult negotiations with the Austrian government, and Mozart's music would continually inspire me to look at the artistic and musical side of Austria, not just the complex historical issues. Plus it was fun to get involved with the Falco estate there, and there is this very popular musical in Germany and Austria called Falco Meets Amadeus. Falco is the "Austrian Elvis" who had a worldwide #1 hit with "Rock Me Amadeus." Sherry: Mozart was first and foremost a composer and performer, but his genius also encompassed exceptional abilities as an inventor, showman and entrepreneur. If he were alive today, he would certainly be pioneering sound in some way. Innovation in the music industry is a unique connecting point between the two of you, aside from your Austrian ancestry! Your latest invention is SoundLink. Would Mozart be proud? Chris: I have always been fascinated by the effect that sound has on people, in particular two types of sound - music and voice. By voice I mean the process of speaking, which in itself is a creative expression, and then the effect that voice has on people listening to it. Voice is the emphasis of SoundLink, a tool that you can talk into anytime you want to, when you have something to say, and you can easily share it. Yes Mozart was an extraordinary entrepreneur and inventor, and he did it in an era where a lot of the tools we use today to do these kinds of things did not exist. No cars, no recordings, no phone, nothing. I think Mozart would like SoundLink for one reason in particular, because it turns anyone into a showman. So I do not consider myself a showman, but I do consider myself a builder of tools to bring out the "inner showman" in people! Sherry: In honor of the Grammy Awards this weekend, a few questions! Why is Classical music not featured alongside other genres at the (televised) Grammy Awards? 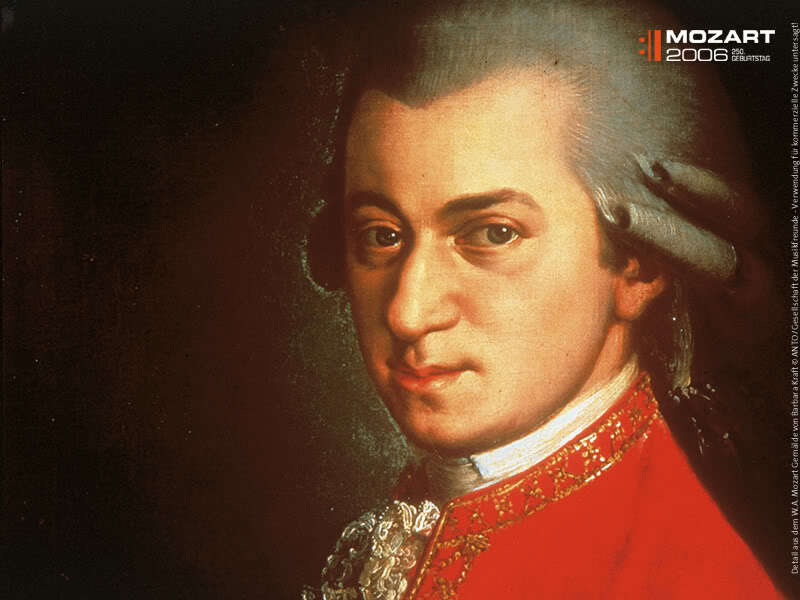 How many Grammy award-winning albums feature Mozart as composer? Chris: I would encourage you to look at the Grammy Awards on a broad perspective, and see how many Classical Grammy Awards there are. There is a list of the nominations here www.grammy.com/nominees. I can't really comment on the televised Grammy Awards and the selection of the music, there are a lot of factors involved with that, and there is a very capable committee to handle this. With regards to the number of Grammys featuring Mozart, I don't know! But I bet you could find out at Grammy.com!